In 1855 a passenger service ran on the Cromford and High Peak Railway – 25 years after the line opened. 22 years later the service was pulled, although in the 1960s enthusiasts jumped aboard for this special tour. 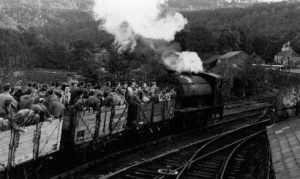 Many walkers up the inclines may have wished the train was still running but passengers still had to disembark and walk up the hills. The workshops at High Peak Junction are where the pioneers of transport built and repaired the waggons that ran on the Cromford and High Peak Railway. They are the oldest surviving railway workshops. 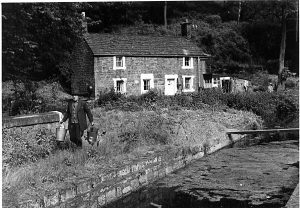 The Cromford Canal shipped goods in and out of the Valley to the South. The railway was an even more ambitious solution to create a direct line across the Pennines to Manchester. Originally there were no locomotives and the waggons were pulled by horse. Enormous steam engines (similar to the one that powered the Leawood Pump) moved the waggons up the inclines over the moors to over 1000 feet. John Smedley’s trademark Jay references the founder’s name ‘John’. It sits on an S shaped branch representing ‘Smedley’. 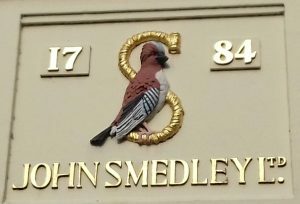 Today you’ll still see the distinctive colours of John Smedley’s Jay insignia on the factory’s footbridge over Lea Road. 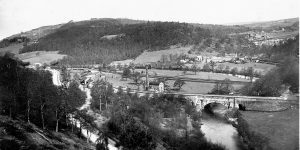 The Smedley family joined the move in the Derwent Valley towards the production of finished garments, rather than just fabric and thread. The Jay became a reliable symbol of luxury underwear, and ‘Long John’s’ undoubtedly originate from these factories. 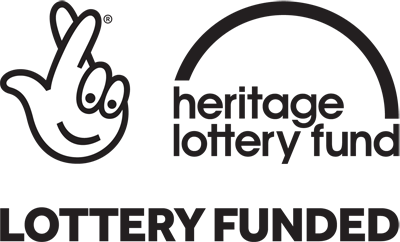 The industrial revolution marked the start of the growth of branding. Think about the brands you wear today- they are often more than just a mark of ownership and quality: what do they say about your identity? Extract of George Robertson’s watercolour of Masson Mill (c.1790) looking upstream. Shows the waterwheel. 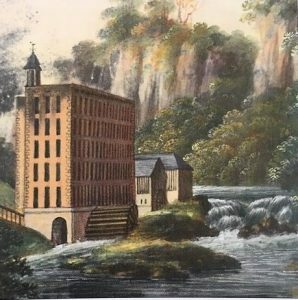 Masson Mill was built in 1783 next to the River Derwent to take advantage of a greater water flow. It was the first of Arkwright’s mills to use the power of the river. Initially the mill was powered by a single waterwheel until 1801. It was then replaced by two waterwheels which continued to generate power to keep the machines working throughout the 19th century. Turbines were installed in 1928. The mill’s overall layout is very different to Arkwright’s mills at Cromford. The entrance and staircase are centrally located leaving production floors clear for the huge cotton spinning machines. Today, engineering and technology advances are still relevant to Masson Mill. There are now turbines using the fast flowing river Derwent to make hydroelectric power for the Valley. Housed inside this building is a powerful steam engine which powers an enormous water pump. On open days you can still experience the heat of the boilers, smell the grease and coal, and see the power of the wave as tonnes of water are pumped up from the river. The canal was filled with water after it drained out of the lead mines and round Arkwright’s waterwheels. As the miners dug deeper, much to Arkwright’s aggravation, they opened a new sough that bypassed the mill and the canal. 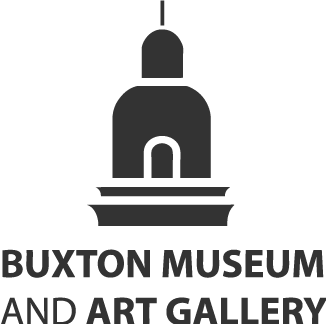 In 1849 the pump house opened – and was hard at work to stop the boats grounding. Demands on water supply created numerous disputes in the Valley- it was so much in demand. Mill owners downstream who relied on the water power from the Derwent insisted the pump was only in action from 8pm Saturday t0 8pm Sunday when their mills were shut. Mrs Ivy Turberville recalls how drinking water for ‘Ackerdock’ cottage came from nearby springs. “Just by the back door were nails that our yokes hung on ready to help us carry the pails of water.” The last resident, Mr Bowler still collected water this way up till 1970.